An action game set in the Star Wars universe. In Star Wars Jedi: Fallen Order the action is set between episodes III and IV of the movie saga. Players assume the role of a Jedi Knight who is being ruthlessly hunted by the forces of the Empire. A post-apocalyptic third-person perspective action game developed by Bend Studio, the creators of the spin-off to the Uncharted series released on PS Vita. 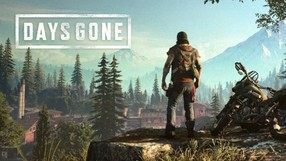 Days Gone takes place in America, two years after a global virus outbreak which transformed millions of people into zombie-like monsters called “freakers”. During the game the player assumes the role of a former member of a motorcycle club who is trying to come to terms with the fact that he lost the love of his life. He travels through the northwestern coast of USA looking for contracts as a bounty hunter. The gameplay mechanics are focused on exploring open world, gathering resources and items which then can be used for crafting useful weapons and tools. During the game there are many occasions for combat – both with humans and with various types of virus victims. The latter can attack in large groups, forcing the player to frequently hide and flee since a direct confrontation cannot be won. A science-fiction RPG title based on tabletop role-playing game Cyberpunk. This production was developed by CD Projekt RED studio – the team who gained worldwide acclaim thanks to its successful The Witcher series – actively supported by the co-writer of the original system, Mike Pondsmith. The story takes you to the year 2077, featuring technically advanced, albeit corrupted world of the future. The game is set in Night City, a place known well to the fans of Cyberpunk universe, where ominous intrigues and secrets thrive. 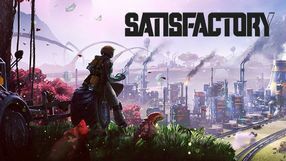 While exploring the game’s open world, you learn the complex, multi-threaded narrative through numerous dialogues, which often put you up against tough moral choices. Classes and character progression system, combat model, as well as dozens of in-game augmentations were inspired of the original role-playing system. The visual side of the game is built on enhanced version of Red engine, previously used in The Witcher 3. 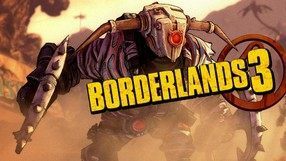 The third main part of the famous Borderlands series - humorous and cooperative FPP shooter with a strong RPG element. The action takes place a few years after the Borderlands 2 events. The title was created by Gearbox Software studio, also responsible for previous editions and, among others, the Brothers in Arms series. Survival horror created by Polish studio The Farm 51 - authors of, among others, Get Even shooter released in 2017. 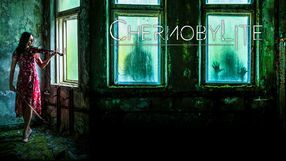 The game is set in the so-called Exclusion Zone around the Chernobyl nuclear power plant. Another entry in one of the most popular series of video games in history. 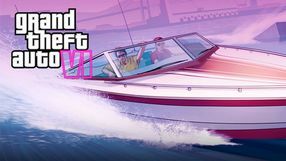 The title enables the players to travel through a vast, open world filled with adventures and side activities. Rune: Ragnarok is an action RPG developed by Human Head, which is a sequel to the cult classic game called Rune, released in 2000. 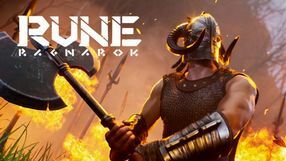 Rune: Ragnarok takes you to a fantasy realm based on the Nordic mythology. The game’s story starts seven years after the eponymous Ragnarok has begun. Despite the pervasive death and destruction, there is no end to the conflict. That’s why the remaining humans (including the protagonist) decide to take the initiative and slay all gods in order to put a stop to the apocalypse. While playing you explore a large open world, assault enemy settlements, sail the seas, complete missions, craft items, and develop your hero’s skills. The game’s heart is the expansive combat system, characterized by its focus on action and explicit brutality. An important role is also played by deities. The player can choose to worship one of them, which grants them access to a variety of special powers. 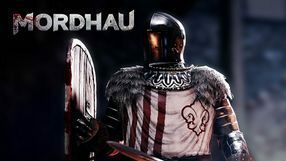 An action game developed by the independent developer Team Mordhau. The players assume the role of medieval knights and take part in online duels to the death. The characteristic feature of Mordhau is incredibly elaborate combat system that lets us execute precise strikes, slow down and feint attacks. Moreover, we can personalize our armor and weapons to our liking. What’s interesting, the armor our avatar wears affects his mobility — for example, a light armor provides less protection from damage but lets us perform fast dodges. The production was designed solely with multiplayer mode in mind and is powered by Unreal Engine 4 which provides high-quality graphics. A continuation of one of the most popular and critically-acclaimed action adventure titles created by Naughty Dog and published in 2013 on PlayStation 3. 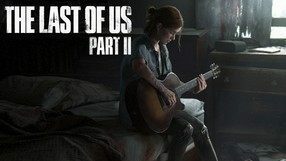 The action of The Last of Us Part II follows the events from the first installment and takes us to the near future in which a deadly epidemic led to the fall of civilization. The title features a comeback of the two well-known characters - Joel and Ellie. However, this time it is the already 19-year-old girl who is the main hero. Mechanics draw and improve on those employed in the first part of the title. The action seen from the third-person perspective consists in exploring partly-open locations and sneaking past enemies. Gameplay is full of brutal, direct combat, which will force you to use a wide arsenal of melee weapons and guns. Isometric RPG hack'n'slash action, which takes place in a fantasy world inspired by pre-Christian mythologies, published by Wargaming (known from World of Tanks). 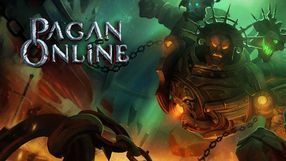 Pagan Online can be played both alone and in cooperation. 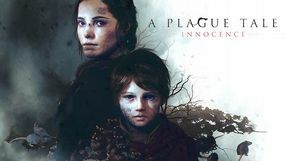 An action-adventure stealth game that takes place in the 14th-century France, consumed by the Black Death. The main protagonists, Amicia and her five years old brother, are trying to find their mother. They must travel through the ruined city while avoiding the members of Inquisition and the groups of hungry rats lurking in the shadows. 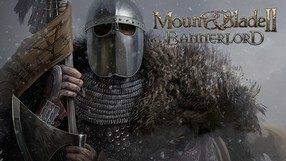 A sequel to the popular Mount & Blade game series, which skillfully combined action with strategy and RPG elements. The sequel was developed by the creators of the original game – Turkish developer TaleWorlds. The story throws you right into the dark Medieval Times, forcing you to adapt to that harsh reality. Two of the game's most characteristic features are the open world and complete freedom to your actions. In order to gain fame and fortune, you have to prove yourself as a tactician, a diplomat, and a fighter. Similarly to its predecessor, the game consists of two gameplay layers. The strategic layer is set on a map, where you travel from one place to another and plan your overall strategy. The other one is action – where you take part in dynamic battles, sitting on a horseback or on foot, with a wide array of various weapons at your disposal in either first or third person perspective. 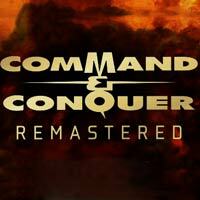 A remastered version of Command & Conquer, a classic RTS from the mid-1990s, which is considered to be one of the fathers of the genre. The game has a completely new audiovisual setting while maintaining the key elements of the original gameplay. 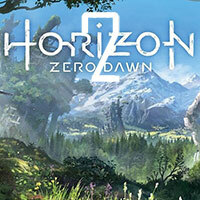 Continuation of Horizon Zero Dawn, an action adventure action game with a TPP view from Guerrilla Games studio. Players return to the postapocalyptic world, dominated by mechanical creatures. The second entry in the series of post-apocalyptic shooters that take the players to the Earth ruined by an asteroid. 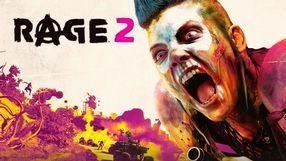 In RAGE 2 the players assume the role of Walker, a guardian trying to interrupt the plans of the Authority that controls the world. The game features a vast, open world that can be traveled on foot or by using various vehicles. Combat with enemies is the pillar of the game. The twelfth main entry in the Total War series of strategy games. 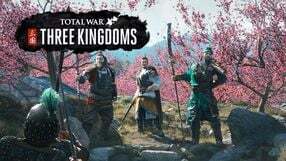 For the first time in history, it takes the players to the ancient China, to the times when the country was split into three rival kingdoms. The title combines traits of classic RTS and turn-based strategy game. Shooter enriched with elements of simulation game and economic strategy, in which our task is to create a powerful factory complex on one of the distant planets. To do this, we travel the map in search of useful raw materials, construct buildings, construct various equipment and production lines, as well as face aggressive predators living in the wilderness. 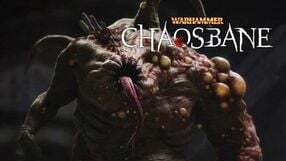 Warhammer: Chaosbane is an action role-playing game. The gameplay features typical hack-n-slash mechanics. You mostly explore the in-game world, develop your character, and fight hordes of monsters using a system that focuses on both your character's statistics and your skills. The fourth installment of the popular series of RPG games, developed by the BioWare studio. 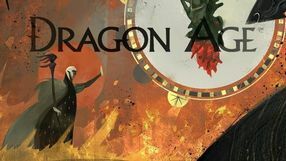 Dragon Age 4 once again takes us on a journey to the fantasy world of Thedas - over the course of our adventure we engage in exploration, we execute various tasks and fight against enemies. 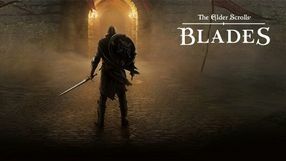 An action role-playing game developed for mobile devices, set in the expansive The Elder Scrolls universe. You play as a secret agent of the Empire, who needs to rebuild a destroyed city by gathering resources, completing quests, and exploring randomly generated dungeons. The fourth full-fledged installment in the famous series of real-time strategy games. The saga is considered as one of the most important in the history of the genre. Contrary to previous games in the series, which were developed by the now defunct Ensemble Studios, Age of Empires IV was developed by Relic Entertainment, a studio that created series like Company of Heroes and Warhammer 40,000: Dawn of War. The mechanics of Age of Empires IV are faithful to its predecessors. The player takes control of one of several civilizations (including European, Asian and Arab nations) and leads it through subsequent phases of evolution. During the game, the player is gathering resources, constructing new buildings and creating powerful armies. In addition to single player mode, the title features an advanced multiplayer mode that enables the player to face other commanders from across the world. 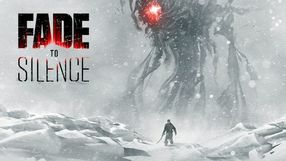 Fade to Silence is a survival action game set in a post-apocalyptic world and developed exclusively for PC Windows. The player assumes the role of a man trying to survive during the eternal winter. On their adventures, the players have to gather resources, build shelters, recruit allies, and fight monsters that roam the ice-bound locations. An open world submarine simulator created in Poland by Deep Water Studio. 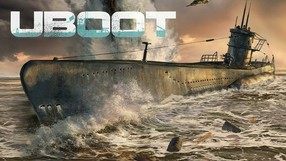 The game takes place during World War II and the player assumes the role of a captain of a German submarine who completes various missions inspired by historical events. Mechanics of UBOOT combine the features of Silent Hunter and Fallout Shelter and the main task of the player is to take care of the crew. One must consider physical and emotional limitations of his subordinates, assign functions to them etc. Each crew member has his own personality and different weaknesses which can be revealed if the captain fails to keep balance between discipline and despotism. As the game progresses one can upgrade the submarine, but our opponents obtain new technologies, such as radar, as well. UBOOT is a three-dimensional game but most of the time the action is shown on a cross-section of the submarine. A racing game based on a Formula 1 license, developed by Codemasters Software. 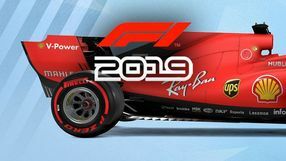 In F1 2019, players can, among other things, sit behind the wheel of a special car that meets the current FIA guidelines, which is available in multiplayer mode. 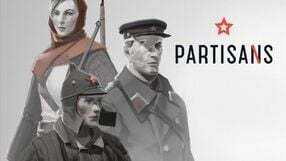 Partisans is a stealth strategy game, in which the players control a team of Soviet partisans fighting against Nazi invaders during WWII. The players' protégés have worse weapons than their enemies and are outnumbered, thus it is necessary to complete missions without being detected. A simple adventure game for VR headgear, developed by ILMxLab, the creators of a similar game Trials of Tatooine. 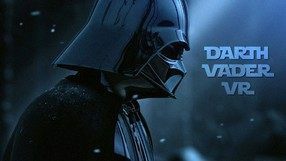 The creative team of Darth Vader VR included the famous screenwriter David S. Goyer, and the story he wrote is considered as canon in the Star Wars universe, placing it on par with the comics and the movies. A the title suggests, you play as Darth Vader himself and learn a new original story focused on him. The gameplay is not too complex and it's restricted to interacting with other characters and the environment. The game is set in a dynamic world with a day/night cycle and changing weather conditions, and the world is in constant flux, even after the end of the story campaign.